As we explained last week, President Obama’s proposed methane scheme is an attempt to fix a problem that does not exist. 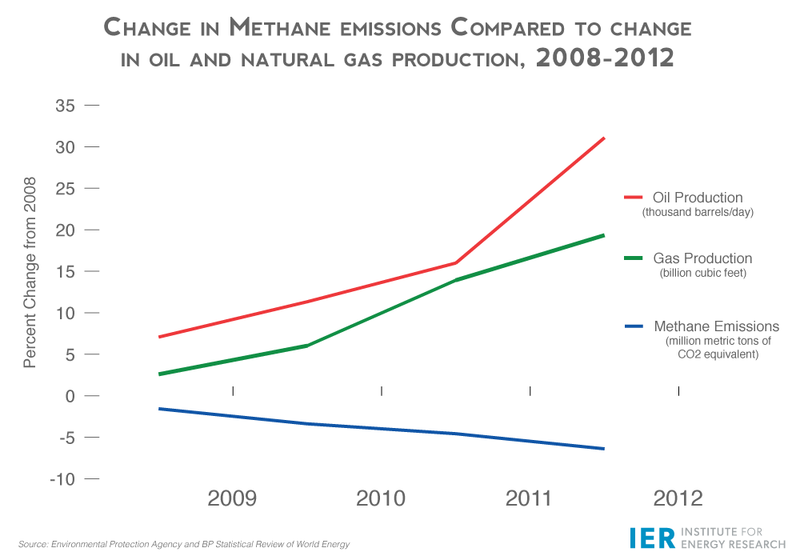 Methane emissions are declining as natural gas production is booming—and it’s happening all without federal intervention because natural gas producers have an economic incentive to reduce methane emissions. The amount of methane that falls under the new EPA regs is very small; in the grand scheme of global warming, it is so small as to be climatically immaterial (which is the other thing wrong with Podesta’s blog headline—it won’t “curb” climate change a whit). In 2013, methane emissions accounted for about 9% of greenhouse gases emitted in the United States. (Carbon dioxide accounted for 82%.) Of this 9%, about 3% are the subject to the proposed EPA regulations—which seeks to cut those emissions in half. Cato estimates the plan would reduce global temperatures by just 0.002°C by the end of the century—an essentially negligible amount. Despite grandiose claims of leaving a “more stable environment for future generations,” Obama’s methane rules will do almost nothing to address climate change. Meanwhile, even the administration admits that methane is already declining without “ambitious” federal rules. A White House fact sheet states, “[Methane] emissions from the oil and gas sector are down 16 percent since 1990 and current data show significant reductions from certain parts of the sector, notably well completions.” Even more impressive is that methane emissions from hydraulically fractured gas wells have plummeted by 73 percent since 2011, according to EPA’s own data. The numbers don’t lie: President Obama’s methane rules are unnecessary. Energy producers already have an incentive to reduce emissions because methane (the primary component of natural gas) is a valuable fuel that provides electricity and heating to millions of American households. Affordable natural gas has also fueled a domestic manufacturing renaissance, encouraging businesses to expand operations and bring more jobs back home from overseas. Instead of adding new layers of red tape chasing non-existent problems, President Obama should simply stand aside and admire the great American energy boom.